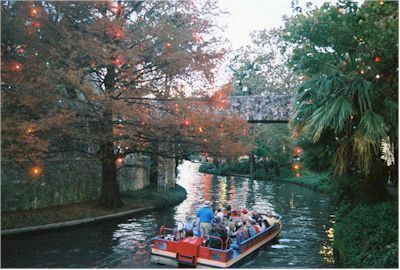 First it was the indigenous peoples of Texas attracted to the San Antonio River. Its cold clean spring water teamed with fish and wild life abounded on its banks. Then came the Franciscan missionaries. They built missions up and down the San Antonio River. First they built San Antonio de Valero mission (1718), (The Alamo), San Jose mission (1720), San Juan mission (1731), Concepcion mission (1731), and Espada mission (1731). The "mission" was to Christianize the Indians, teach them a trade, and make them good Spanish citizens. 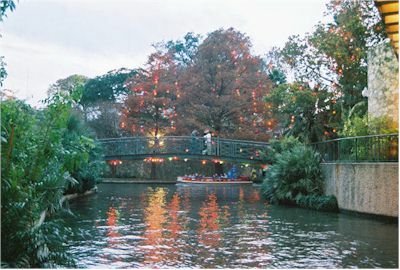 The mission residents were the first to develop and use the San Antonio River. Around San Antonio the Spanish used what was known as acequias (ah-SAY-key-ahs), a system of ditches that the Muslims had introduced to Spain. Missionaries and Indians built seven gravity-flow ditches, five dams, and an aqueduct in order to distribute water from the San Antonio River over a 15-mile network that covered and irrigate 3,500 acres of land. At San Jose Mission the acequias were used to power a Grist Mill to grind grain to make bread. March 14. 1941 A river carnival and night parade are held. 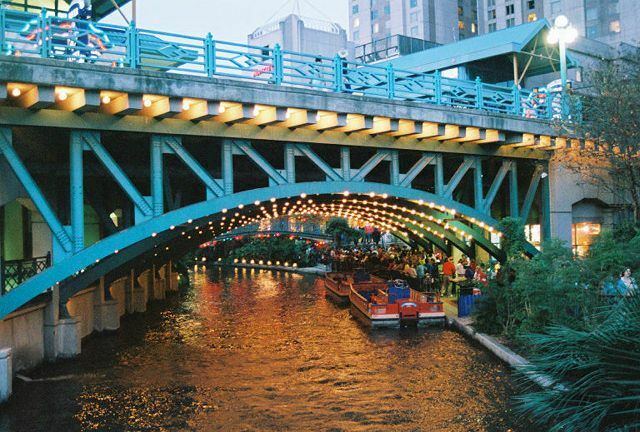 The walkways, stairways to street level, footbridge, rock walls lining banks and Arneson River Theater are completed, as is the restoration of La Villita. In 1946, Casa Rio Restaurant opened, the first restaurant in the river bend. 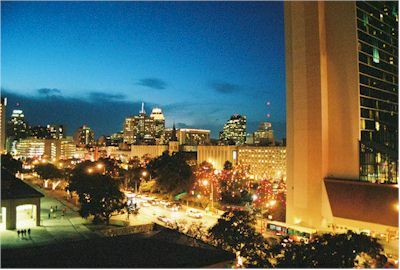 In 1968, Hilton Palacio Del Rio opened Hotel La Posada opened in the old St. Mary's Law School on College St. April-October, HemisFair '68. Construction is completed on the river extension and the convention center complex. 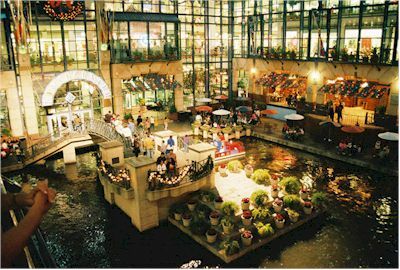 The River Walk in San Antonio is the Number 1 tourist destination in Texas. In 1921 a Cloudburst over the Olmos Basin and San Antonio River puts 9 feet of water on Houston Street. Floods kill about 50 people. Prior to this the river had been largely ignored since the days of the Missions. The flood of 1921 was the beginning the development of the river for flood control and as true asset to the city and it's visitors. In 1926 work began on bypass channel. Final plans for flood control are published, including draining the river bend, making it a storm sewer with a street over it. The Conservation Society takes commissioners on canoe rides to show them the river and convince them to save it. It worked. The San Antonio River has its source in large springs within and near the city limits of San Antonio. It flows 180 miles across the Coastal Plain to a junction with the Guadalupe near the Gulf Coast. 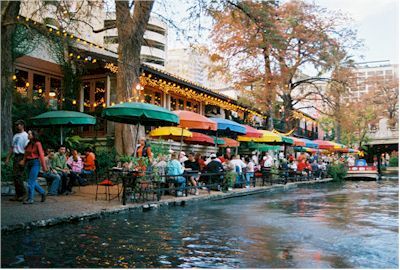 Because of its limited and arid drainage area (4,180 square miles) the average runoff of the San Antonio River is relatively small, about 350,000 acre-feet annually near its mouth, but its flow, because of its springs, is one of the steadiest of Texas rivers.